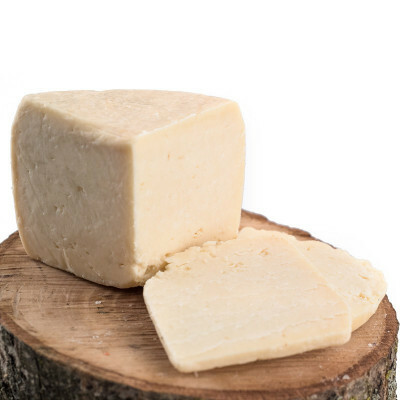 This pit-aged cheese has a unique history and a delicate, sweet yet slightly spicy taste. 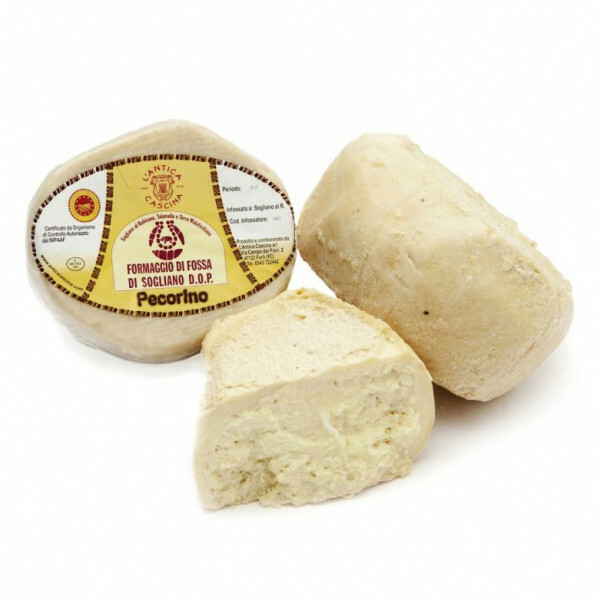 The technique for making formaggio di fossa dates back to the 15th century, and involves "burying" the cheese in ditch-like caves - fosse. The cheese matures around 60/70 days before being placed in these pits, which are also lined with straw. The pit remains closed for 90 days, meaning that the oxygen available to the cheese is limited, and thus anaerobic fermentation occurs. Recent studies on the product have shown that the cheese has many health benefits including a significant difference in the amount of pathogenic germs it carries, as well as greater digestibility due to bacteria that break dow fats and bring out the spicy flavours and typical pungent smell of aged cheeses. 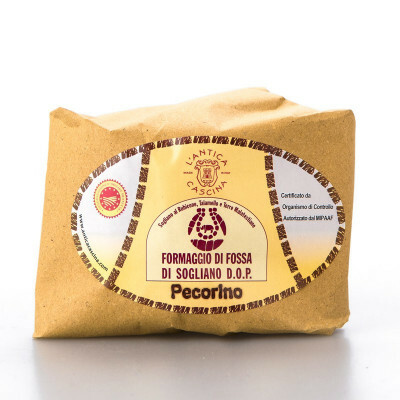 This is certainly one of Italy's most delicious cheeses: the flavour is delicate, almost sweet, and then becomes more spicy, with a slightly bitter aftertaste and an earthy odour. It adds a delicious twist to a variety of meals and is a true taste of Italy's culture. Try it in regional soups like cappelletti or grated over pasta, although it's also great on its own, paired with a little honey or balsamic vinegar, and perhaps a some bread or piadina. This version is made with both cow and sheep's milk. 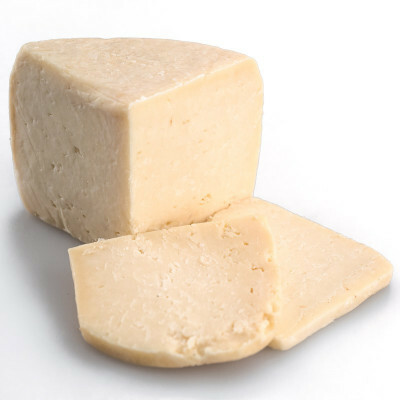 Pasteurized sheep's MILK, selected milk enzymes, rennet of veal and salt.Sheep's MILK.